We’d love your help. Let us know what’s wrong with this preview of The Light From Other Suns by V.E. Lemp. To ask other readers questions about The Light From Other Suns, please sign up. 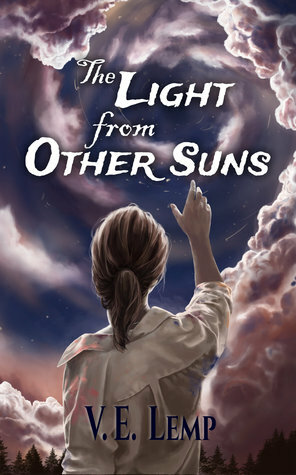 The Light from Other Suns is a fun and fast-paced story about how dreams can connect us to other worlds. Having had strange and unique dream experiences my entire life, I immediately related to the main character, Karen, whose dreams are special enough to get her recruited into a research program. When it turns out the program isn’t what it seems, Karen begins a long and difficult journey toward discovering the truth. V.E. Lemp has a talent for dropping subtle hints and exploring the nuances of The Light from Other Suns is a fun and fast-paced story about how dreams can connect us to other worlds. Having had strange and unique dream experiences my entire life, I immediately related to the main character, Karen, whose dreams are special enough to get her recruited into a research program. When it turns out the program isn’t what it seems, Karen begins a long and difficult journey toward discovering the truth. V.E. Lemp has a talent for dropping subtle hints and exploring the nuances of interactions between characters—so much so that I found myself “predicting” certain things that happened without realizing what tiny hints had triggered those thoughts in my mind. Almost like watching real-life people interact, and to me, that is a mark of a true writing talent. There’s more I could say, but I don’t want to give away any spoilers. Can’t wait to read part two as well as other books from V.E. Lemp in the future. Artist , Karen Foster is drawn into the world of a dream study called the Morpheus Project . Whilst her fellow test subjects are having breakdowns (which she somehow manages to ignore), she is warned by Government agent Mark Hallam that all is not as it seems . BUT Karen is besotted with Researcher Alex Wythe and is blinded to what is going on around her ........what are the drawings she is dreaming about ? where are they coming from ? who is using her ? A tragic accident blights her life and aided by Mark and a motley crew she must fight to uncover the truth ..
Karen's attitude throughout is not believable - and affected my enjoyment of what could have been a really enjoyable premise . I enjoyed this book! Suspense maintained throughout, which made it a good read. Although I could stop with this one, I will get the next book to continue the story.